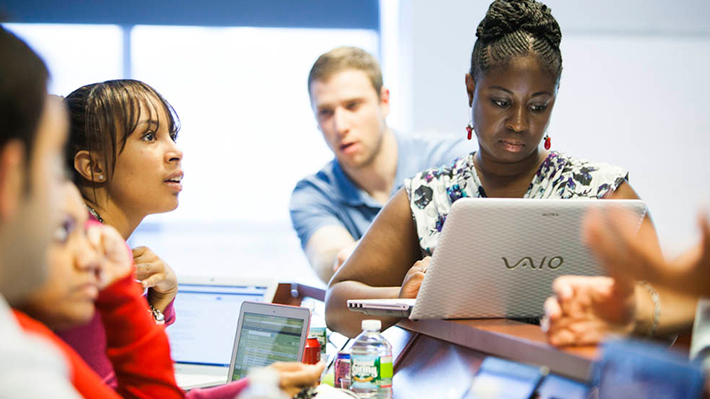 Intensive, three- or four-day residencies at Drexel LeBow’s Philadelphia and Malvern campuses deliver course content in an accelerated time frame. Graduate students may enroll in a maximum of two elective residencies during their program of study. This does not include MGMT 530 Managing and Leading the Total Enterprise. This course allows students to work as consultants for a real organization while also supporting and experiencing aspects of social impact, civic engagement, and community involvement. Students are tasked with evaluating, analyzing, and building a series of recommendations that address various aspects within a nonprofit organization. Students work in teams and are asked to build an integrated set of recommendations that cover overall strategy through to specific and realistic executable tasks, taking into account the capacity of the business to utilize those recommendations. Students learn the principles, practices, frameworks, and methods of agile methodology, including philosophy, implementation methods, agile project planning, value-driven product design and delivery, and more. This course is designed specifically for leaders to enhance their leadership negotiation style. The material is geared toward developing leaders as they deal with the art and science of securing agreements and resolving disputes. The course combines a theoretical understanding of the central concepts of negotiations with learned analytical skills to discover optimal solutions to problems (the science) and good negotiation skills to get these solutions accepted and implemented (the art). Students will discuss the process of leadership and leadership development in sports organizations. Leadership styles, qualities, philosophies and the ability to adapt to different situations are addressed. Information on recruiting, training, supervising and evaluating personnel are examined as are current sporting issues and their impact on sport leadership.